Popular teacher at the Omega Institute teaches how to heal with the human energy field. Dr. Lani Leary was among the first researchers to recognize the body's energy field and its healing potential. Her original edition of Healing Hands taught a generation of caregivers how to use their natural energy to support physical and spiritual wholeness. In this expanded audio edition, Dr. Leary explains the significance of the Human Energy Field and offers four meditations for identifying, gathering, and conveying the inner healing force you can use to help yourself and others. Healing energy, teaches Dr. Leary, is both a presence beyond techniques and a way of knowing and expressing your true self. Her 11 guidelines lead you directly to your own experience of this potent, transformative resource. Along the way, you will discover what she calls “a sacred practice; a lifelong meditation,” in which you can create a state of serenity that transcends pain. You will learn how to find the energy in your hands, use your “sixth sense,” and help others to manage emotional, psychological, spiritual, and physical pain. 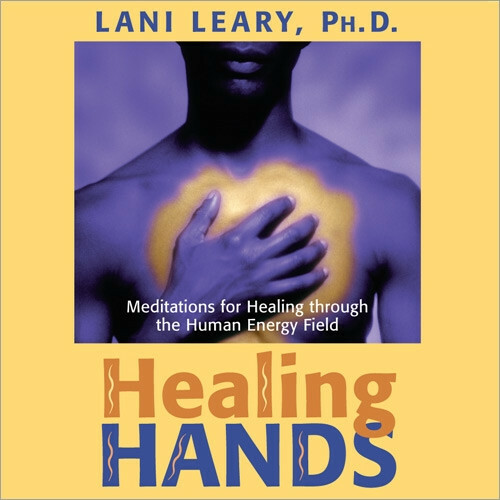 Based on her popular seminars at the Omega Institute in New York, Healing Hands is Lani Leary's definitive instructional workshop.